John Pierson’s wild ride through the indie film world from 1997-2001 will have its streaming premiere exclusively on The Criterion Channel starting December 10. Revisit (or discover for the first time) the original series that delivered underexposed film celebrities, unexpected locations and surprising storylines. Episodes featuring Spike Lee, Richard Linklater, Kevin Smith, Guinevere Turner, John Waters, Marina Zenovich and THE BLAIR WITCH PROJECT. Watch the NEW trailer for the series here! From 1997-2001, producer/author John Pierson and his band of cinephiles roved the US seeking pockets of movie madness for this irreverent 60-episode series. The Criterion Channel, the new exclusive streaming service from The Criterion Collection on FilmStruck (in partnership with Turner Classic Movies), will host the streaming premiere of the original 60 episodes of John Pierson’s SPLIT SCREEN. Starting Saturday, December 10, six episodes will be released every six weeks. 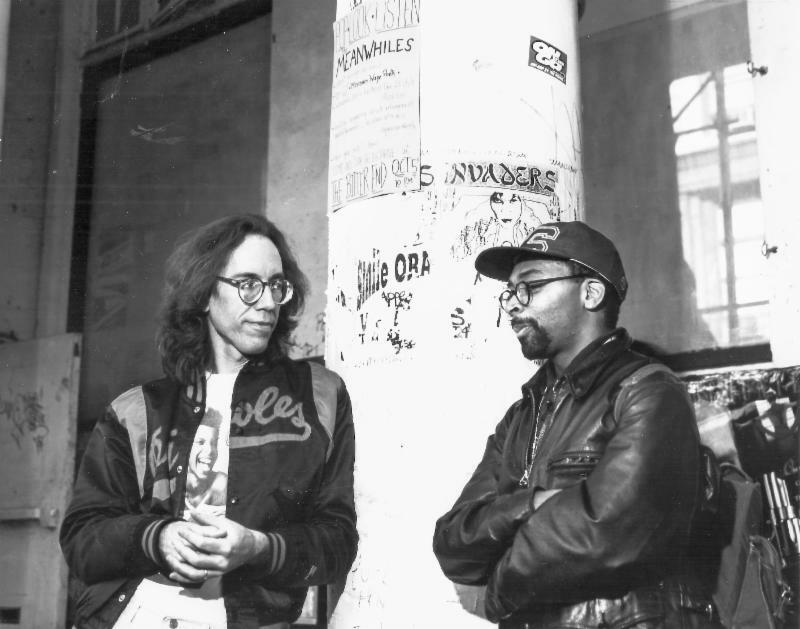 Starting in 1985, when almost no one else was doing it, John Pierson represented an all-star line-up of over twenty first-time feature filmmakers, including Spike Lee, Michael Moore, Richard Linklater and Kevin Smith. After personally investing in SHE’S GOTTA HAVE IT, he later set up the first completion funding company for unfinished low budget features like GO FISH. Pierson also executive produced CHASING AMY, and has written for the Los Angeles Times, the New York Times, Premiere, the Austin Chronicle and IndieWire. His tales of indie film’s coming of age from 1985-95 were chronicled in the best-selling Spike, Mike, Slackers & Dykes, which Peter Biskind called “the bible for independents.” Conceived by Pierson on his book tour, SPLIT SCREEN became IFCtv’s signature original series from 1997-2000. As creator and host, Pierson rounded up his old friends but also gave over 100 new filmmakers a unique platform to make their mark. In 2004 Pierson moved to Austin, TX to take a faculty position teaching film producing at the University of Texas at Austin Radio-TV-Film Department. 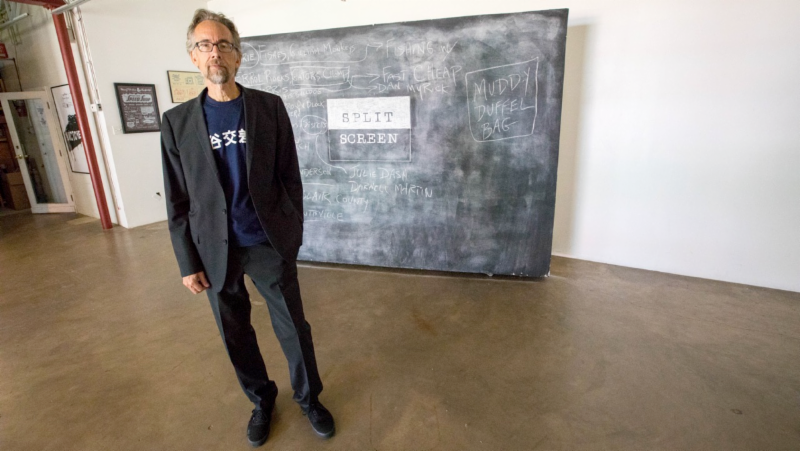 John’s weekly UT Master Class brought over 70 high profile industry guests to campus, including Spike Lee, Spike Jonze, Matt Stone, David Simon, Steve Buscemi, and Harvey Weinstein. It was broadcast on Austin’s NPR affiliate from 2006-2012. In 2014-2015 he headed a new Chinese film production initiative for Justin Lin and Perfect Storm Entertainment. In his heart of hearts, John Pierson loves movie theaters. He married Janet Pierson at the Film Forum in 1983, and in 2002 cajoled her and their two kids into moving to Fiji for a year to show free movies at the world’s most remote theater, the 180 Meridian Cinema – a memorable experience captured in the Steve James documentary REEL PARADISE. The Criterion Channel offers the largest streaming collection of Criterion films available, including classic and contemporary films from around the world, interviews and conversations with filmmakers and never-before-seen programming. The channel’s weekly calendar features complete Criterion editions, thematic retrospectives, live events, short films, and select contemporary features, along with exclusive original programming that aims to enhance the Criterion experience for the brand’s dedicated fans as well as expanding its reach to new audiences. Other recent additions to the programming include MEET THE FILMMAKER: ATHINA RACHEL TSANGARI and ADVENTURES IN MOVIEGOING WITH BILL HADER. FilmStruck is a new subscription on-demand service that offers film aficionados a comprehensive library of films including an eclectic mix of contemporary and classic art house, indie, foreign and cult films. Developed and managed by Turner Classic Movies (TCM) in collaboration with the Criterion Collection, FilmStruck will be the new exclusive streaming home for the critically acclaimed and award-winning Criterion Collection, including the Criterion Channel, a new premium service programmed and curated by the Criterion team. FilmStruck is Turner’s first domestic direct-to-consumer offering launched in November 2016. Since 1984, the Criterion Collection has been dedicated to publishing important classic and contemporary films from around the world in editions that offer the highest technical quality and award-winning, original supplements. No matter the medium-from laserdisc to DVD and Blu-ray to FilmStruck, the streaming service developed in collaboration with Turner Classic Movies – Criterion has maintained its pioneering commitment to presenting each film as its maker would want it seen, in state-of-the-art restorations with special features designed to encourage repeated watching and deepen the viewer’s appreciation of the art of film.